Temporary conditions of hypothyroidism and hyperthyroidism are common and often remain undiagnosed. Occasionally, they can result in regional mini-epidemics. For instance, an epidemic of hypothyroidism occurred in Canada in the 1990s due to the popularity of a cabbage soup diet intended for weight loss, which ended up backfiring. 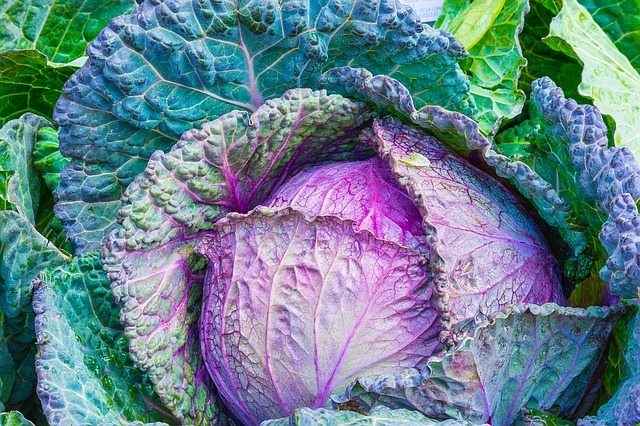 Cabbage, broccoli, almonds, peanuts, peaches, plums, squash, kohlrabi, soy and other goitrogen foods contain phytochemicals, which reduce thyroid hormone production. As little as 1.5 cups of goitrogens daily can reduce thyroid levels sufficiently to cause hypothyroidism. Environmental factors such as chlorine in swimming pools and perchlorate in rocket fuel and non-stick pans can result in hypothyroidism as can drugs such as lithium, which displace iodine. Cigarette smoke injures thyroid tissue and can trigger production of thyroid antibodies resulting in transient symptoms as well as the development of autoimmune thyroid disorders. Temporary conditions of hyperthyroidism have been caused by ground beef and sausage contaminated with thyroid hormone. In 1984, the first community outbreak of transient thyrotoxicosis (condition resulting from thyroid hormone excess) was documented in Nebraska as a result of beef contaminated with bovine thyroid gland. A similar outbreak occurred in 1984 and 1985 in Minnesota, South Dakota, and Iowa which was again linked to bovine thyroid gland present in ground beef. In 2003-2004 Uruguay, another epidemic occurred due to thyroid-contaminated minced beef and chorizo. 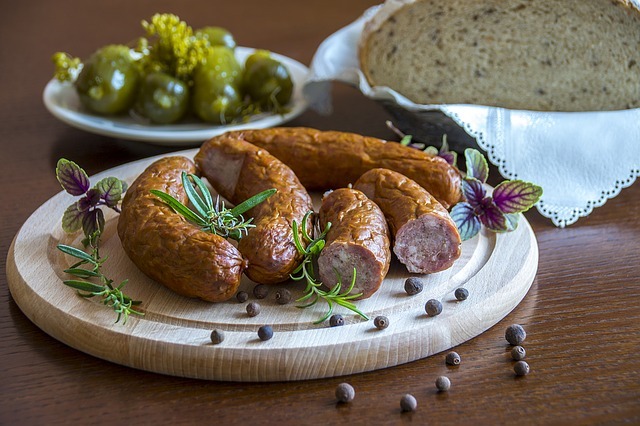 In 2010, a patient in the Netherlands was found to have hyperthyroidism linked to daily consumption of sausages. Once he stopped eating them his thyroid hormone levels returned to normal. Numerous dietary supplements intended as metabolic or thyroid boosters contain thyroid hormone due to regulations that have not been closely followed. One elderly lady became severely hyperthyroid as a result of using a supplement described as a thyroid booster, which contained high amounts of triiodothyronine (T3 hormone). In a follow-up NIH study, 9 out of 10 thyroid booster products contained T3 and 5 products contained both T3 and thyroxine (T4 hormone). While conditions of postpartum and subacute or viral thyroiditis are generally temporary and cause a hyperthyroid phase lasting around 2 months followed by a similar period of hypothyroidism, which may become permanent, thyroid disorders that tend to come and go are often related to dietary and environmental factors. Patients with autoimmune thyroid disorders can occasionally have sporadic or erratic thyroid function test results as a consequence of these factors. Kang GY, Parks JR et al., 2013. "Thyroxine and triiodothyronine content in commercially available thyroid health supplements." Thyroid Oct; 23(10): 1233-7. Hendriks LE and BJ Looij. 2010. Hyperthyroidism caused by excessive consumption of sausages." Netherlands Journal of Medicine Mar 68(3): 135-7. Hedberg CW, Fishbein DB, et al., 1987. "An outbreak of thyrotoxicosis caused by the consumption of bovine thyroid gland in ground beef." New England Journal of Medicine Apr 16; 316(16): 993-8. Kinney JS, Hurwitz ES et al., 1988. "Community outbreak of thyrotoxicosis: epidemiology, immunogenetic characteristics, and long-term outcome." American Journal of Medicine Jan 84(1):10-18. Conrey EJ, Lindner V et al., "2008. Thyrotoxicosis outbreak linked to consumption of minced beef and chorizo: Minas, Uruguay, 2003-2004." Public Health Nov; 122(11): 1264-74.